Comio has launched Comio S1 Lite Smartphone in India it comes with 13MP Rear Camera, HD Display priced at Rs 7499. Here are Frequently asked questions about Comio S1 Lite. Q) What is Display Size of Comio S1 Lite? Q)Comio S1 LiteDisplay protected by Gorilla Glass? Q) what is Processor and GPU on Comio S1 Lite? Q) RAM and ROM on Comio S1 Lite? A) 2GB RAM with 32GB storage, MicroSD support up to 128GB. Q) How much free storage space does the Comio S1 Lite has out of the box? Q) Does Comio S1 Lite has fingerprint scanner? Q) Does Comio S1 Lite come with Notification LED? Q) Rear Camera Comio S1 Lite? Q) Front Camera on Comio S1 Lite? Q) Does it support 1080P Recording? Q) Does Comio S1 Lite support Dedicated MicroSD Card? Q) Does Comio S1 Lite comes with a metal body? A) No, it has a plastic body with a matte finish. Q) Does the Comio S1 Lite support LTE and VoLTE networks? Will a Reliance Jio SIM work on the phone? Q) What contents do you get inside the retail box of the Comio S1 Lite? Q) Sensors on Comio S1 Lite? Q) How much is Battery on Comio S1 Lite? Q) Dimensions on Comio S1 Lite? Q) Connectivity options on Comio S1 Lite? Q) What colors is the Comio S1 Lite available in? 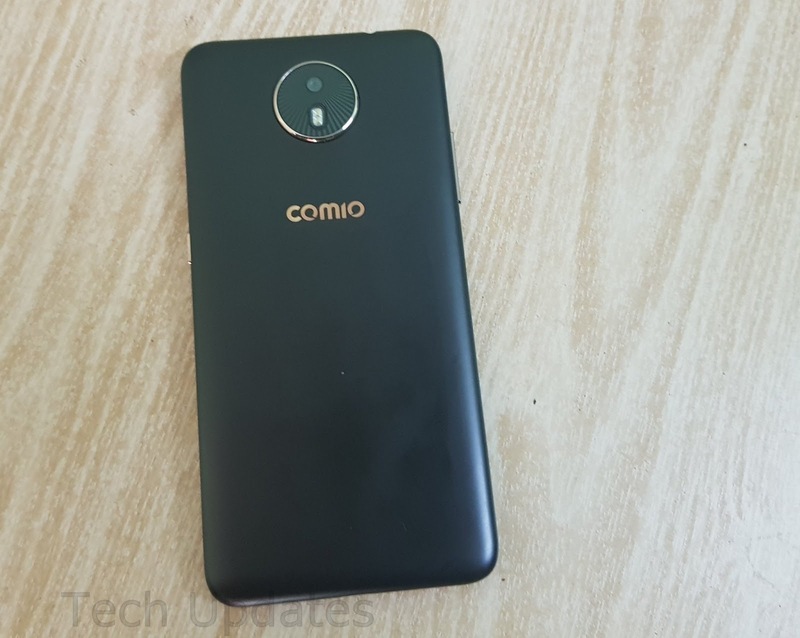 Q) Comio S1 Lite Price in India? Q) Where to Buy Comio S1 Lite?